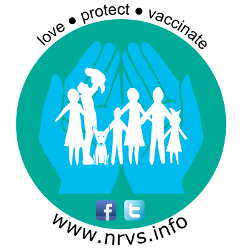 We are a group of parents, locals, and health care providers trying to reduce the risk of preventable disease in our community. The core administrators of the group, facebook page, and website are; Heidi Robertson, mother and former paramedic, who now runs a first aid business, Debbie Procter, mother and immunisation nurse, Rachel Heap, Intensive Care specialist doctor, Sarah Farrand, mother and doctor, and Kathy McGrath, mother with a science degree in human nutrition and musculoskeletal therapies background. We have all had first hand experience of vaccine preventable diseases. We have had them, our kids have had them, and we have cared for patients with them. We know only too well the true horrors of how awful these diseases can be. To prevent others suffering, we want to send a positive message out there to people who are confused or hesitant about vaccinations, to provide honest and clear information, and to support one another as we strive to prevent infectious disease. We are doing this completely independently, and receive no funding support. Within our larger group of members some have had first hand experience of the diseases we are trying to prevent, whilst others have been involved on the frontline fighting to save lives and prevent disease, both here in Australia, and overseas. Some are parents, some are grandparents. Some are health care providers. Most are locals. We come from all walks of life. But one thing we all have in common: we all vaccinate. Alison was one of the original founders of the NRVS. She has chosen to leave our group to spend more time with her family, but you can still read about her experience of being a mum with young children suffering from whooping cough, and how it impacted on her, here. Chris as he shares his experience of trying to help fight a measles epidemic with you here. Jesse’s battle with chickenpox is shared here, and Julian’s is here. Richard’s recollections of having hepatitis here. Maureen’s miserable memories of measles can be found here. The McCaffery’s have written an open letter about their daughter, and how pertussis took her life, here. Dave Hawkes speaks of how his son was exposed to pertussis (whooping cough) here. Jessica and Cecily talk about the reality of their experiences with measles here. Marty tells his story about being a survivor of meningococcal disease here. Here is Kelly’s story of influenza; how it took the life of her mother when she was a baby, how it affected her when she caught it herself a few years ago, and how it is still impacting on her life today. Janine tells the story of how her son spent fighting for his life with Pneumococcal disease, a disease she had never heard of, here. Amie’s mum shares her heartbreak on the 20th anniversary of her daughters death from pertussis here. This website has been written, and the content decided, by Rachel Heap, (specialist doctor, and NRVS admin) in consultation with the rest of the NRVS admin team. Specialist, scientific, or medical information has been reviewed by Professor Robert Booy from the NCIRS. Here, you will find general information about vaccines and vaccine preventable diseases, advice on how to determine the quality of your sources of information, a series of frequently asked questions with lots of more reading and detail available via credible and verified links, and then more detailed information on specific diseases and the vaccines that we have to protect ourselves from them. Our infographics and posters are free to share, download or print, and high resolution versions of them are available on request. Our most popular can be found here, most are less than 500 KB, and they can be downloaded using your website browser, or shared using the quick links at the bottom of the page. Some of the larger infographics (still less than 1.5 MB) are also available as a PDF. PDF is a universal file format that preserves the appearance of the original document without losing resolution, and can be easily printed but not easily modified. PDF files are viewable via a software which can be downloaded for free via Adobe Reader. The content of the website is evidence based, and has been developed in response to community demand. It aims to help non-medically trained people understand the information needed to make an informed choice about vaccination; covering some of the scientific principles involved, information about the diseases and the vaccines, and attempting to answer in plain language some of the more frequently asked questions we hear from our community and in on-line forums. Content is reviewed regularly, and updates are made in response to advances in evidence (as noted in the peer reviewed press or at scientific conferences), community concerns, disease outbreaks, or changes in Australian immunisation policy. In October 2016, we were proud to announce that our website had been assessed by the World Health Organisation as being a reliable source of information about vaccines and vaccine safety. The objective of the Vaccine Safety Net project is to facilitate the access of public health authorities, health professionals and the public to reliable information on vaccine safety via the internet. 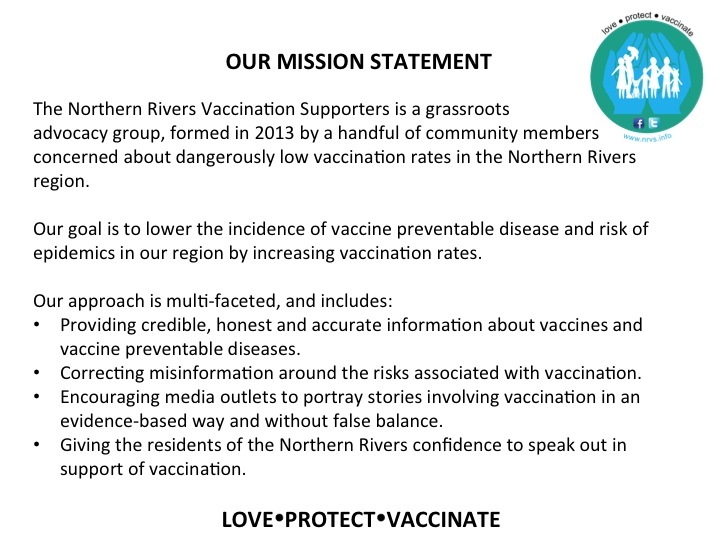 The NRVS website is now part of that Vaccine Safety Net, and has been reviewed by WHO and found to adhere to its set criteria for credibility and content for good information practices. Click here for more information, and to access the Vaccine Safety Net and the websites and other sources of information rated by the WHO as reliable and credible. As well as our website, you can find us on Facebook and Twitter, and are welcome to contact us via this website, or social media. We are an unfunded group of volunteers, so if you don’t hear back from us straight away, please try again via an alternative route as it may be we are otherwise occupied and/or your message has fallen into unexpected problems with technology! Please note that we do not collect, use, share or distribute any personal information without your express permission.